SALT….tons of SALT…apparently I had pretzels in my in my bag at some point…no sign of said pretzels though…. Day 1 of 7: Brain Dump!! I found a bunch of popcorn in mine that might go well with your salt! Now we just need to find someone with Butter in their purse and we’ll be all set!! Ha! My wallet was conspicuously missing from my purse, too! Well, this post made me feel a lot better! LOL. 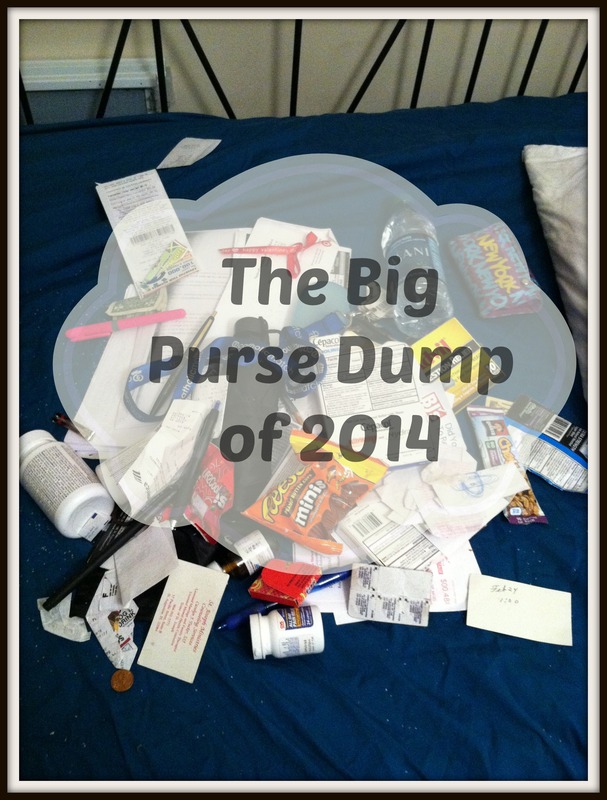 Jess recently posted…The Big Purse Dump and My Five Favorite Things About It. I didn’t even participate in this because I did not want to see what is in my purse yet. I’m not ready to clean it out yet! I’m having so much fun seeing everyone else’s post though! I love that you listed the salt. I guess I didn’t dump mine out quite enough to find the crumbs that I’m sure lurk within. Oh, I definitely think a car dump link-up would be pretty interesting for a lot of us!